Shame on us! We’ve been coming to the northern Thai city of Chiang Mai for an extended stay (one month or more) for almost a decade now and from a content-on-our-blog point of view, we have very little to show for it. Apart from Kirsty’s A Day of Photography in Chiang Mai post and another one about Art in Paradise, which was one of the city’s newest attractions when we visited and wrote about it in 2013, we have penned nothing else about Chiang Mai. Yet! It’s not like we don’t know the city. In fact, we know it extremely well and have actually written a great deal about it, but it was all for a Bangkok-based travel company, who paid us to share our opinions and recommendations with them. 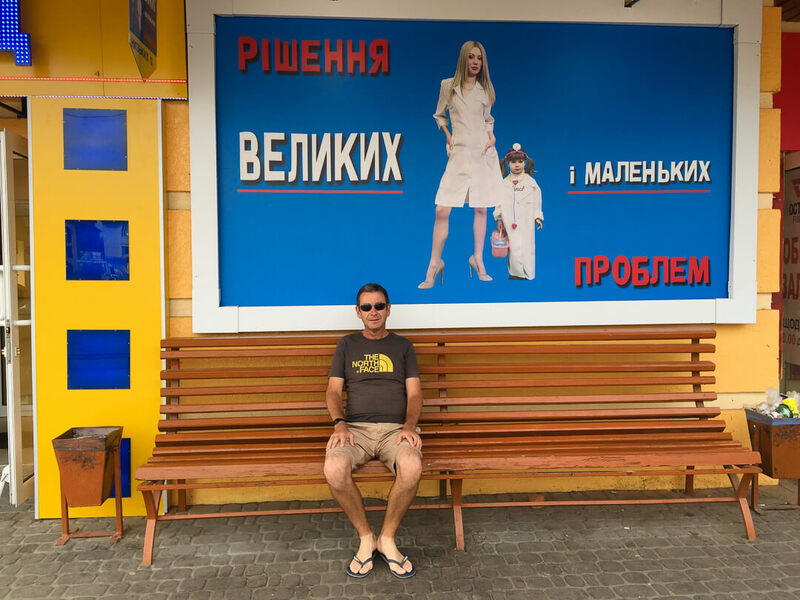 To duplicate that work on our personal blog would be unethical but, it has always nagged both of us somewhat that the city we have probably spent the most amount of time in over recent years is also the one lacking most on our website. I thought it would be good to rectify that somewhat but didn’t really know what to write about. 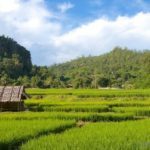 Even though we are qualified to give recommendations on what to see and do in Chiang Mai, there would be little point in putting it into a blog post – that’s been done plenty of times before and it would be a waste of time rehashing the same old suggestions and putting it up here. The same goes for places of interest in the surrounding area as well as other topics such as the best places to eat and drink, for example. But the latter did get me thinking. We come to Chiang Mai for several reasons, with the primary one being to recharge our batteries. I know the following statement is going to raise a few eyebrows and unlikely gain us much in the way of sympathy, but travelling full time is hard work and when we come to Chiang Mai it is with the express purpose of taking it easy and slowing right down. That doesn’t mean we sit on our backsides or sleep all day, far from it, but we do very little in the way of sightseeing (unless we find something new to go visit) and, more importantly, we don’t travel. In other words, we don’t leave Chiang Mai. We do fill our days (and nights), however. We go the gym in our apartment building most days. It’s small and the equipment is limited but given that nobody else seems to use it, it’s perfectly acceptable for our needs. When we’re on the road, the fitness benefits of walking, and just by being outdoors, are often cancelled by the crappy budget-oriented on-the-road food we eat, especially in Europe. Consequently, we use the gym while we have the opportunity. After going to the gym, we sometimes sit by the pool for a bit. We aren’t tan-fiends but it’s nice to get a bit of colour and get rid of the dreaded sock-tan marks that are unavoidable when travelling in Europe in the summer. We also dedicate a fair bit of time penning blogs for our website. We aren’t very good at writing while travelling (I have no idea how people have the time to do this if they are out and about all day?) so, as part of our Chiang Mai routine, we write enough blogs to see us through until the next time we can sit down and do so again. Then there is the socialising. We know quite a few people in Chiang Mai. A mixture of expats who live here permanently and people who return at the same time every year (often to avoid the winter blues in their own country) combined with Thais who we know and other travellers who keep coming back for an extended stay in the same way we do means we have an active social life. We meet in bars and coffee shops (mainly bars in my case! ), discuss this, that and the other and generally have a good time. It’s a necessary fix that we enjoy when we have the opportunity and miss when we get back on the road. Another part of our daily routine is eating. I appreciate we’ve got to do this wherever we are in the world but in Chiang Mai, and the rest of Thailand for that matter, it’s a different ball game as eating on a budget, which we often do, is actually enjoyable. The Thais take eating very seriously. It’s not uncommon for a Thai to eat five times a day, sometimes even more. They don’t eat large portions, however, and they sensibly have a meal when they are hungry rather than wait for the appropriate meal times. Indeed, Thais will often greet each other with the phrase gin kao. It literally translates as eat rice but in this instance, it means have you eaten? In other words, are you hungry and do you want something to eat? Admittedly, even though we have been coming to Thailand for an age, we still struggle with the concept of eating whatever you want at whatever hour you are hungry (rice with red curry at 1030 in the morning for example) and so we normally hold off until the traditional times to indulge in one of our favourite Thai pastimes. When we return to Chiang Mai, we always stay in the same area of the city and also the same apartment building (*). The area is Chiang Mai Gate and the apartment building is called Smith Residence. (*) This isn’t technically correct. When we first started staying at Smith, there was only the one apartment building, Smith Residence. Now there is another building, Smith Suites, and we interchange between the two depending on availability. We favour Smith Suite these days as it is newer and has a garden but we are quite happy to stay in Smith Residence if that’s all we can get. The area around Chiang Mai Gate is great for cheap, tasty food although, much to our dismay, we usually discover that at least a couple of our favourite establishments from our previous visit no longer exist. 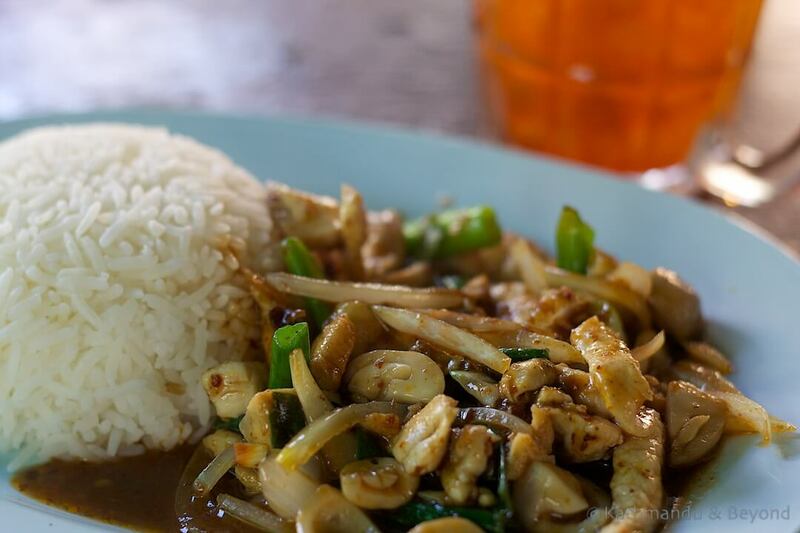 There are a handful of dependable joints in the vicinity, however, that are always going strong and can be relied upon to produce a decent bit of Thai fare. So, and completely off on a tangent from what I normally write about, I thought I would don my food critic toque blanche (chef’s hat) and review some of the places that have fuelled our addiction to Thai food during the course of, what is now, nearly a decade of regular visits to Thailand’s second city. Some of the places on the list below are little more than the equivalent of a Thai hole-in-the-wall while others are decent restaurants where, naturally, the prices are higher. Often we don’t know the correct name of the place in question and so have coined our own – it will become apparent below, which ones these are! I guess I should break up the text with the odd photo of some tempting Thai cuisine but don’t worry, it won’t be foodie overload. My other option was a couple of shots of the joints in question but a) I couldn’t be bothered to go out and photograph any of them and b) most of them aren’t that photogenic anyway. Just up the road from Smith Suites, this is the place to head to if you don’t fancy a Thai-style breakfast (rice with curry, rice porridge, that sort of thing). In the morning you can get freshly baked croissants (22THB each) and other pastries as well as a decent cup of coffee (from 35THB). Their sandwiches are also pretty good. It’s generally busy throughout the day but especially so in the morning (8am to 10am for example). There is no Wi-Fi, a deliberate tactic on their behalf to keep the custom flowing as well as to keep out the I’m going to sit here all day using your Wi-Fi and electricity but only buy one cup of coffee brigade. We simply call it the Japanese bakery as it is owned by a Thai-Japanese family. The bakery is closed on Sundays. Located near the moat, along from Chiang Mai Gate market (Bumrung Buri), this is our favourite place to eat in Chiang Mai. Barely a step up from a hole-in-the-wall style place, this establishment is run by two identical twin brothers who produce some delicious Isaan cuisine. 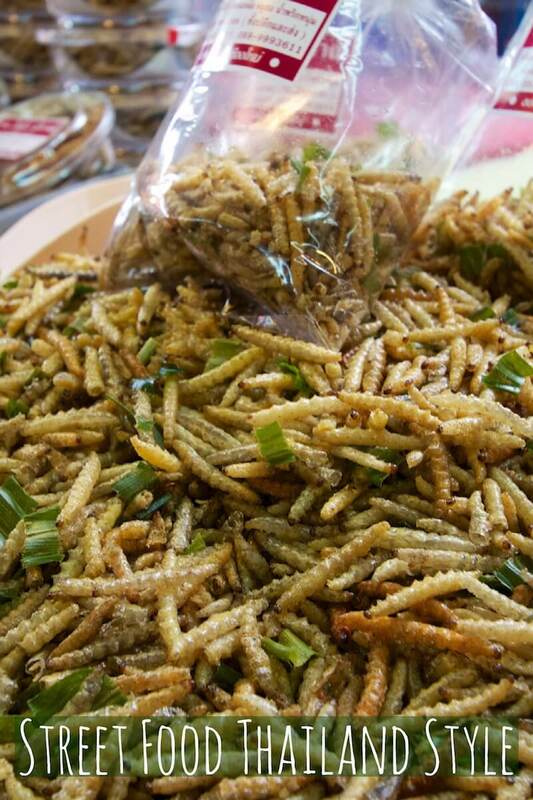 Food from the northeast of Thailand (Isaan) is quite different from that in the rest of the north and is more associated with cuisine in neighbouring Laos. Staples include barbecued strips of pork or beef (60THB per plate), khao niao (sticky rice) (10THB a portion), lab (spicy minced pork) (60THB per plate) and Som tum (papaya salad) (40THB a portion). The beer is among the cheapest we have come across away from Seven Eleven and Tesco. A large Chang is only 60THB a bottle. Isaan food is spicy and chillies are used in abundance, especially in the sauce that accompanies the barbecued meat so be a little wary on a first visit. We like spice, however, and for us the food is so good we could easily eat there every night. What’s more, we hardly ever used to see another falang (a derogatory term used by many Thais to describe foreigners) at the Isaan place but on our latest visit (December, 2017), to our surprise, we were presented with an English menu and this, in turn, has attracted a few more western customers. And one final observation. When you ask for the bill, one of the twins will come over and tot up the total in his head even if he hasn’t served you. Don’t worry about this, he isn’t ripping you off and he never gets it wrong! We believe they have a telepathic connection and built-in abacus! Not a place to eat but the fruit shake lady makes darn fine shakes and at only 25THB each, they are among the cheapest in the city. The fruit shake lady is actually a couple. Along with her husband, they churn out shake after shake to eager punters like us, who also know you won’t find a better-value shake anywhere else in Chiang Mai. Their cart is opposite Chiang Mai Gate market. They use plenty of fruit in the shakes and we found out just recently (after nine years of going there!) that you can mix and match. Mango and strawberry combined is now a firm favourite of ours, along with fresh lemon, passion fruit (when it is in season) and the not-so-healthy Oreo shake! Both the fruit shake lady and her husband speak English and you can order with half sugar or even no sugar at all (not recommended for the lemon shake!) if you prefer. Dash is probably the smartest restaurant that we frequent in Chiang Mai. 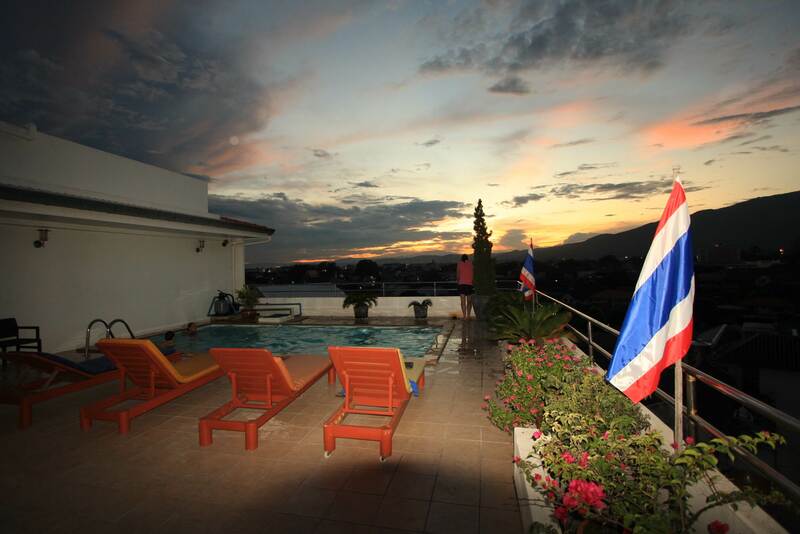 It’s located in the old town on Soi 1 and is about a 15-minute walk from Chiang Mai Gate. You can sit out in the garden or inside the large wooden house that is the main focus of the grounds. The place is always busy and it’s a good idea to make a reservation in high season (November to March) and especially at weekends (tel: 053 279230/085 3477445, email: [email protected]). Given the standard of cuisine, the high level of service and the general all-around pleasant ambience, the prices at Dash are reasonable. A green or red curry with chicken, for example, will set you back 125THB, while a Northern Thai pork curry (which I always opt for) is priced at 150THB. That said, the khao soi is a rip-off at 150THB (khao soi should only cost about 40THB a bowl) and western dishes are more expensive than the Thai ones but then that’s always the case in Thailand. The prices for drinks are also fair (large Chang 90THB (*)) and overall, Dash is our go-to restaurant if we want a nice night out. (*) I keep quoting the price of Chang beer but personally I don’t touch the stuff and quite a few people I know, who are also familiar with Thailand, are the same. It’s a ‘dangerous’ beer that is supposed to have an alcohol content of 5% but there’s this rumour that it isn’t regulated and can be anything up to 12% in strength. Also, one of the ingredients is apparently formaldehyde and a common nickname for Chang lager is the lottery beer. I doubt if either statement is true but there is something strange about Chang. I know from experience that sometimes you can drink two or three Chang and feel fine the next morning while, on another occasion, have the same amount and the following day feel like an elephant has stamped on your head. Chang translates as elephant in Thai and my coin of phrase was deliberate – out here, it’s known as a Chang-over. Leo is a much ‘safer’ beer and only about 10THB more expensive per bottle. The other option is to water-down Chang with ice, which is what the Thais do all the time. If you have a perplexed look on your face as a result of reading that last sentence, I understand, it was a totally alien concept to me to begin with but I’m now used to it and always put ice in my beer. It also has the added bonus of keeping the beer nice and cold in a tropical climate. As an aside, there are some decent bars on Soi 1 and adjoining Soi 2 (soi means lane) and it’s a good place to go for a night out. Lost Hut and C.U. Corner are good, rustic bars with a healthy mixture of expats, Thais and tourists plus, they have the advantage of being very close to Dash. Mary’s place is a basic eatery that is only one road over from Smith Suites. Mary speaks good English and the menu is also in English as well as Chinese, which is often the case in Chiang Mai these days. The Thai food is excellent here but we can’t vouch for the western dishes as we haven’t tried them but plenty of other people do so I’m assuming they are also OK. Portions are big, especially the soup curries, and Kirsty and I often end up sharing one and ordering another rice (main dishes include rice). Dishes are in the region of 70THB to 90THB but Mary will also do you a rice-over (*) for 35-40THB. She serves alcohol: beer, Thai wine (drink it at your peril!) and spirits. A large Chang costs 70THB. 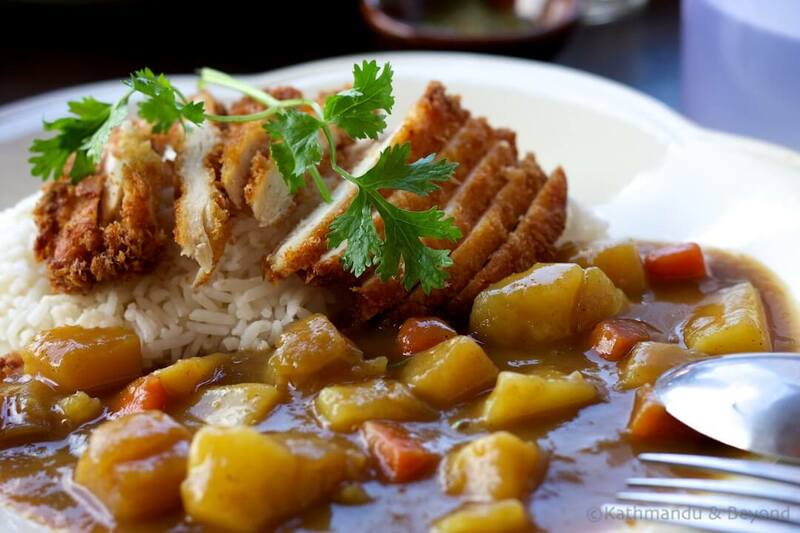 (*) Rice-over is the term we use to describe a plate of rice topped with a smaller portion of your favourite dish. Technically, we should be asking for over-rice but most people around here seem to know what we mean! Mary’s is open from lunchtime until about 10pm, which is good to know as many hole-in-the-wall-style places either open for lunch or dinner but not both. 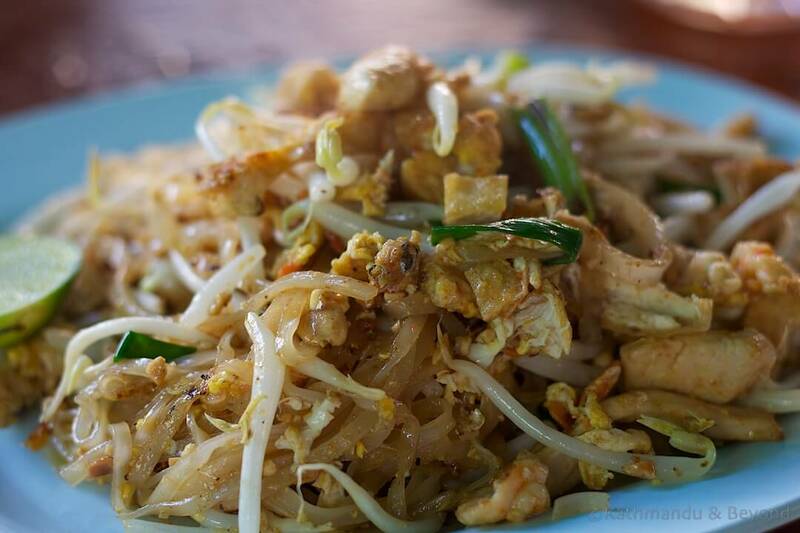 pad thai – a Thailand classic! We don’t know the name of this one but it’s opposite Mary’s place and on the corner of a junction! The owner is friendly and although this is a very Thai place, he does have a menu in English. We suspect that the prices on it are a bit more than what the Thai’s pay (this happens in Thailand) but, nonetheless, they are similar to Mary’s. Overall, the food is superior at Mary’s but the atmosphere is more pleasant here and it is a more enjoyable place to linger. I’m a little reluctant to add We’s to the list because she keeps erratic hours and you’re never sure if she is going to be open or not. If she is open, the (Thai) food is good and the prices are keen (70-100THB per dish depending on what meat you choose). We’s is also an agreeable place to hang out as there is outside seating with big, comfy chairs and a slobbering golden Labrador, who is always willing to become your instant best friend! We aren’t very up on vegetarian restaurants in Chiang Mai (or anywhere else for that matter) but, we head to this one every now and then if we fancy something meat-free. 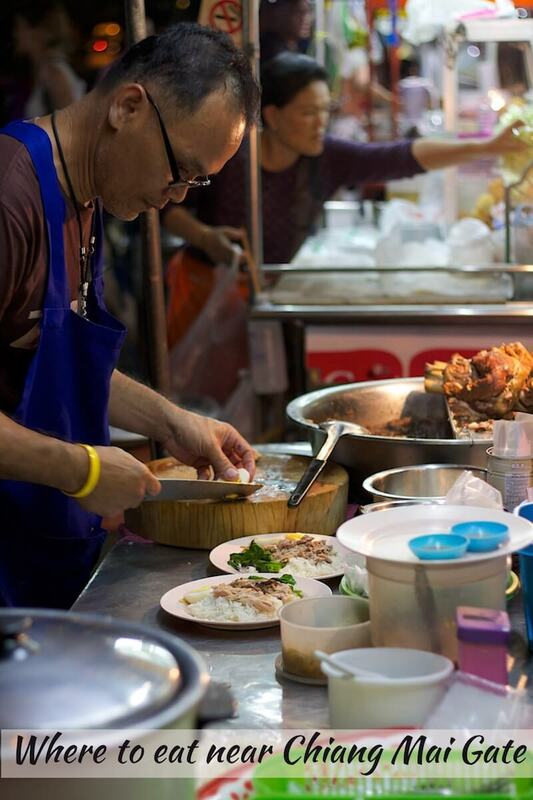 Kirsty rates the Khao Soi, otherwise, you can pick from the pre-cooked food in the trays. I probably shouldn’t say this but I like going there because the mushrooms are really meaty and taste like steak! Rice with one dish is THB25 and for two dishes over rice, it costs THB30 per plate. We just call it the veggie place and it’s located opposite the side entrance to Chiang Mai Gate Market. We only discovered this small restaurant recently but arguably it does the best khao soi in Chiang Mai. A bold statement I know, but I could live on this northern Thailand speciality three meals a day if it wasn’t for the fact that it is full of coconut milk and therefore pretty fattening, meaning I’ve tried more than a few bowls in my time and therefore can speak with authority! The joint is a little grubby around the edges, plus there are several chickens always running around (presumably tomorrow’s lunch?) but don’t let that put you off, the khao soi is truly delicious. There is a choice of beef or pork as well as the more traditional chicken on the bone. I normally opt for beef, Kirsty mixes it up. It costs 35THB for a normal-sized bowl or THB40 for a large one (which can be a tad on the filling side at lunchtime). It’s popular and always busy but the family who runs it will find you a seat. Their command of English is limited to chicken, beef, pork, big and small but that’s all the communication you’ll need so it works out fine! 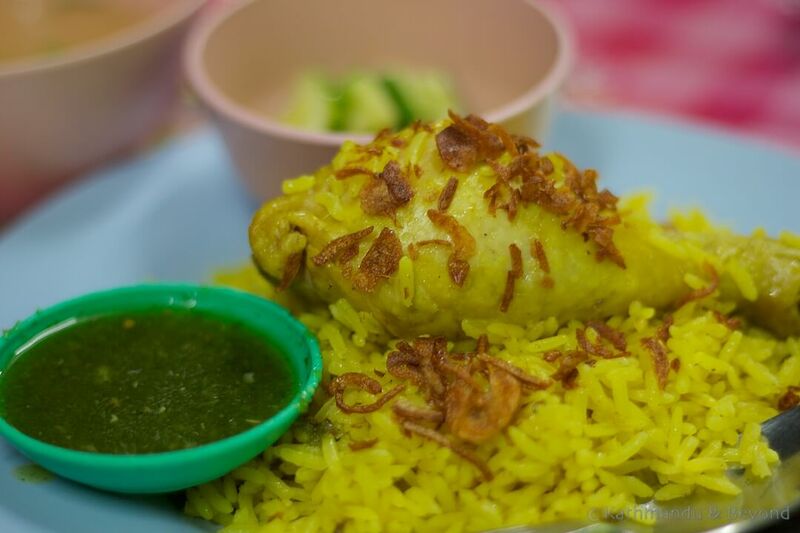 They also specialise in chicken (crispy or boiled) over rice, which comes with some zingy sauces and a broth. This is also tasty and the same price as khao soi . 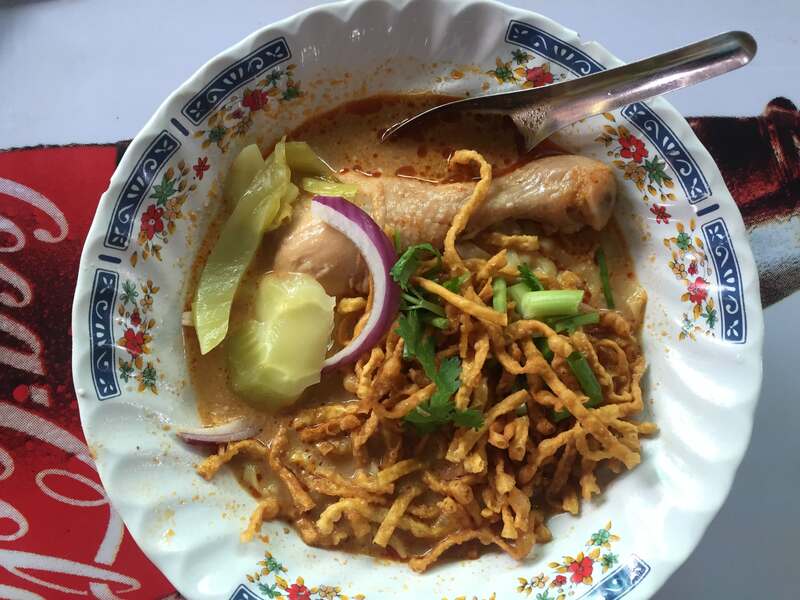 The khao soi place is located on the periphery of Kom Market, which is short walk south of both Smith Residence and Smith Suites. It is known as ‘Khao Kad disingenuously’ on Google maps (!!) and what’s more, don’t be fooled by the pizza signs all over the restaurant’s exterior, you are definitely in the right place. The noodle soup man is just down the road a tad from the khao soi place. The setting is a bit cage-like (you’ll see what I mean if you go there) but the noodle soup is good and only 30THB a bowl. Point and pick at your preferred noodles, meat and broth then take a seat and wait for your soup to be delivered, which is normally about a minute later. The noodle soup man also speaks a smidgen of English. I’ve got mixed feeling about the market at Chiang Mai Gate. When we first started coming to Chiang Mai we used to eat around 70% of our evening meals there – the prices were good, the portions were decent and it was never too crowded but these days that’s no longer the case. The word is out and you’ll see more tourists (especially Chinese) than Thais eating there now, plus prices have gone up, the portions have got smaller and the area is way too crowded for it to be a pleasant experience. But, that said, the market is good for grazing and still a decent option if all you want to do is get a quick meal and move on. Among the better places to eat is the duck noodle soup corner (40THB a bowl) (GPS: 18.78134, 98.98877) and the Halal Briyani Stall, which is a little away from the heart of the market but worth tracking down for tasty biriyani rice with beef or chicken (50THB a portion) (GPS: 18.78154, 98.98727). The Swan, along with Archer’s (see the next listing), is further away from Chiang Mai Gate than any of the other places I’ve reviewed previously but it’s worth making the effort to visit this place once in a while as it specialises in Burmese cuisine. When we were in Myanmar, we found the food to be a bit hit and miss and so we were reluctant to have a meal at the Swan when friends recommended it but, as it turned out, the dishes are very good and we always make a point of returning each time we are Chiang Mai. The prices for food is more in line with Dash (120THB to 150THB per dish) and their bar prices are more expensive than Dash. They don’t use as much oil in their cooking here (which is one of the things we dislike about Burmese food in Myanmar) and the salads (tea leaf, mint, lemongrass, that sort of thing) are especially good. The Swan is located on the other side of the moat, beyond Tha Phae Gate and to walk there from Chiang Mai Gate would take around half an hour. Alternatively, you can take a songthaew (a share taxi usually based on an adapted pickup truck or similar, containing two long benches) for 20-30THB per person. Don’t go on a Sunday as this is Walking Street Market day around Tha Phae Gate and the traffic (as well as walking) will be hideous. 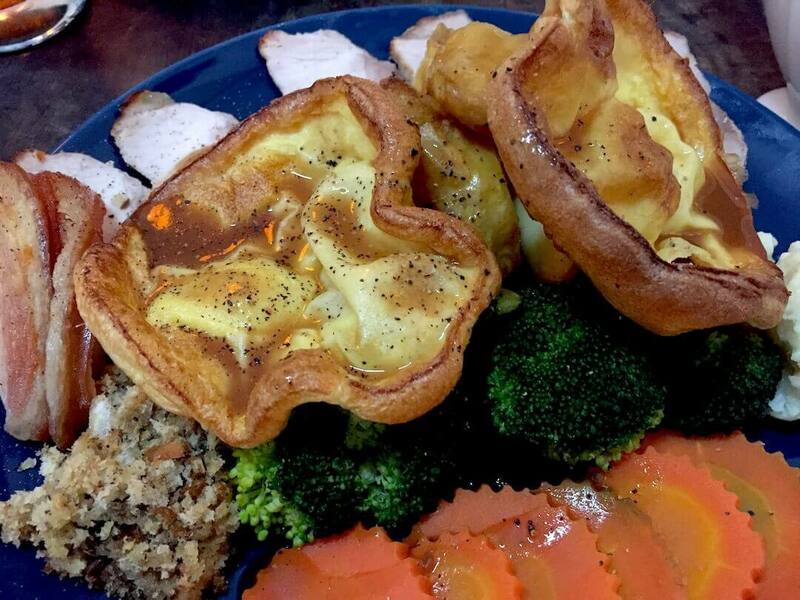 We go to Archers for one reason – the Sunday roast. Taking a home-cooked roast on British soil out of the equation, this is the best one we have gotten anywhere on our travels. The pork roast is THB235, while lamb and beef cost 295THB (for vegetarians, there’s also nut roast at 200THB). The meat is accompanied by all the trimmings including Yorkshire pudding and stuffing, crackling on the pork, apple sauce/horseradish/mint sauce, roast potatoes and a pile of veggies. It’s a fine effort at a very reasonable price but if you want to try it out, either get there early or make a reservation via their Facebook page. There is other food on the menu also, including Thai dishes, but, in our opinion, Archers is the place to head too if you have a craving for western cuisine. As well as the Sunday Roast, they have Friday Fish and Chips night and also a weekly quiz night on a Wednesday. Mark, the British owner, is friendly and welcoming and heading to Archers for Sunday lunch is the highlight of our week, but then Kirsty and I are from England and the Sunday roast is an essential part of our culture! 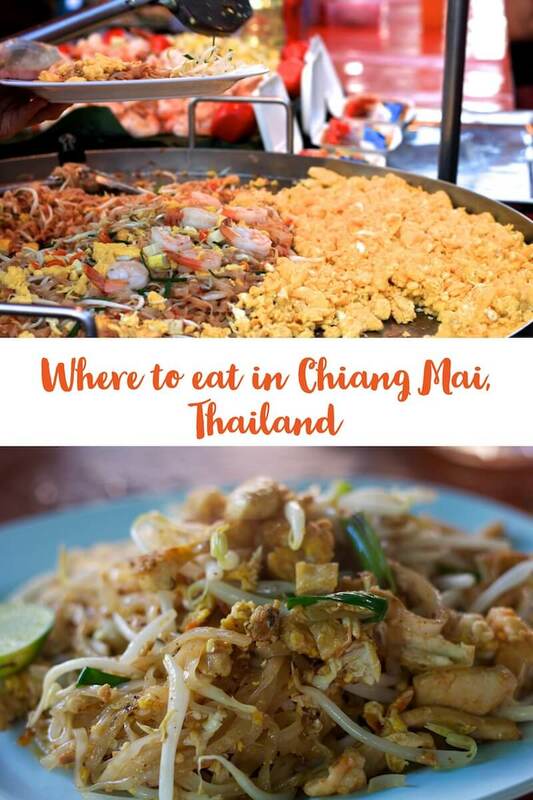 So, there you have it, our mini-guide to where to eat in Chiang Mai – these are the reliable restaurants, holes-in-the-wall and carts in Chiang Mai that have satisfied our insatiable desire for Thai food (and the odd roast dinner) over the years. How I have managed to write nearly 4,000 words on the subject is beyond me. My interest in food, apart from eating it that is, is limited to opening a can of beans, heating them up and pouring them over a couple of pieces of toast and then smothering them with HP brown sauce. This was strictly a one-off and certainly don’t expect any more food-related blogs on this website, well at least not from me anyway. Nice overview of Chiang Mia…makes my mouth water. Your food pics are really good and sharp. Bravo! Thanks Larry. We’ve only been in Vietnam little over a week and are already craving Thai food. The food in Vietnam is OK but Thai is better in our opinion. If you find any other ‘staple’ places near Smith let me know!! Really happy with this post as it gives us tons of options for our March visit. 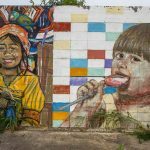 Terracotta Arts Garden – for it’s coffee. Looking really forward to trying out lots of food! Glad it will come in useful Frank, I wrote it with you in mind given our previous conversations! Not been to the Cat House but the Grill of India is good and there is another Indian restaurant near Chiang Mai Gate, which I think is called Taj Mahal. The Terracotta Arts Garden used to be a junk yard and we were surprised to see it had been turned into a rather fancy-looking cafe/restaurant when we went there this time around. I like it but it’s fairly pricey so I guess that’s why it didn’t make the list! Mark, great read. I agree with your comments on Chang Beer, terrible stuff. 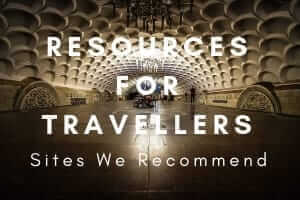 I think you can add this review list to you travel skills. Cheers Paul. I didn’t mention Singha either – I think that stuff is just as bad!